This is the third book in the Mindspace Investigation series, Adam is still freelancing as an interrogator for the Atlanta PD, he still has a very strained relationship with Cherabino. While in the middle of an interview at the Atlanta PD, Adam is pulled away by Chearbino to investigate a murder scene. On the way out Adam is handed a scrap of paper with a note saying he needs to call his ex Kara right away. Adam finds out that Kara's uncle is dead, and it's being looked at as a suicide, Kara knowing her uncle would never kill himself, begs Adam to look into the death and prove that it was in fact a murder and not a suicide. Despite the anger Adam has towards the Guild and their politics, and his conflicted feelings he has towards his ex, he agrees to help Kara. Adam is stonewalled at pretty much every step of the investigation by both Guild members and members of Kara's family. When no one is willing to help with the investigation, not even Kara, Adam begins to think the Guild is looking for a scapegoat and throw him under the bus. By making an example of him it would show the power the Guild has over everyone. The relationship between Adam and Cherabino is getting somewhat confusing, I'm not sure if this was done on purpose or not. One minute Cherabino is mad as hell at Adam for the telepathic link created between them, the next minute when the link has "worn out" Cherabino is ready to jump Adam's bones which could recreate the link that she wanted gone so badly. I enjoyed this book as much as the first two. 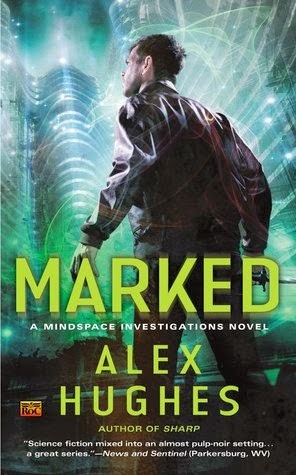 I'm hoping there will be future books that focus on the outside events that took place between Sharp and Marked. Watching Adam struggle with his personal demons and his feelings towards others that are a part of his life, even if he doesn't want them there, is a great story. Alex Hughes, the author of the award-winning Mindspace Investigations series from Roc, has lived in the Atlanta area since the age of eight. She is a graduate of the prestigious Odyssey Writing Workshop, and a Semi-Finalist in the Amazon Breakthrough Novels 2011. 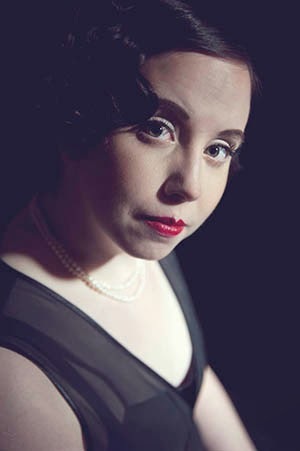 Her short fiction has been published in several markets including EveryDay Fiction, Thunder on the Battlefield and White Cat Magazine. She is an avid cook and foodie, a trivia buff, and a science geek, and loves to talk about neuroscience, the Food Network, and writing craft—but not necessarily at the same time! Thanks for the great review. Sounds like a good book.